Anna Faris and her new boyfriend Michael Barrett weren’t hiding anything over a month ago … sippin’ beers and hanging out at a local carnival. Pics have surfaced of the new couple in Malibu taken early September showing the pair enjoying a cold one and taking in the sights. Faris and Barrett aren’t handsy at all … but definitely seem to be enjoying each other’s company. 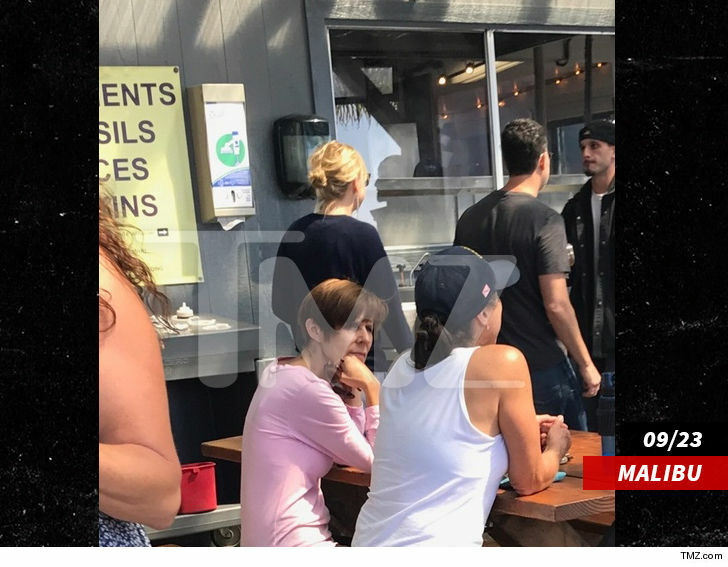 TMZ broke the story … the two were spotted out in Malibu and The Palisades in the last few weeks. We’re told they met on the set of “Overboard” a movie set for release in 2018 in which Anna stars and Barrett’s working as a cinematographer.